Personality: Tokino is very kind and polite to other people, whether he knows them or not, and is more than willing to help others in need. He also makes sure to treat upper and lower classmen with respect because they've worked very hard to get where they are now. However, he will become shy when praised for his efforts. Despite all of this, he loves his brother very dearly and would do just about anything for him. If anything, he is very selfless and charitable. Summoner Tools: A sketchbook, pen, a few thick sticks of chalk, and a dagger. Medical Supplies: Holy water, holly, medicinal herbs, and first aid supplies. Abilities: Tokino, being the half-breed he is, happens to be capable of picking up, moving, and/or lifting very heavy things with little difficulty. This passive ability, along with heightened senses, comes from his Masho half. However, he can still burn himself with holy water if he isn't careful. History: Tokino was born right after his twin brother Orenji, from their mother's womb. Unfortunately, their mother died shortly after giving birth to the twins. 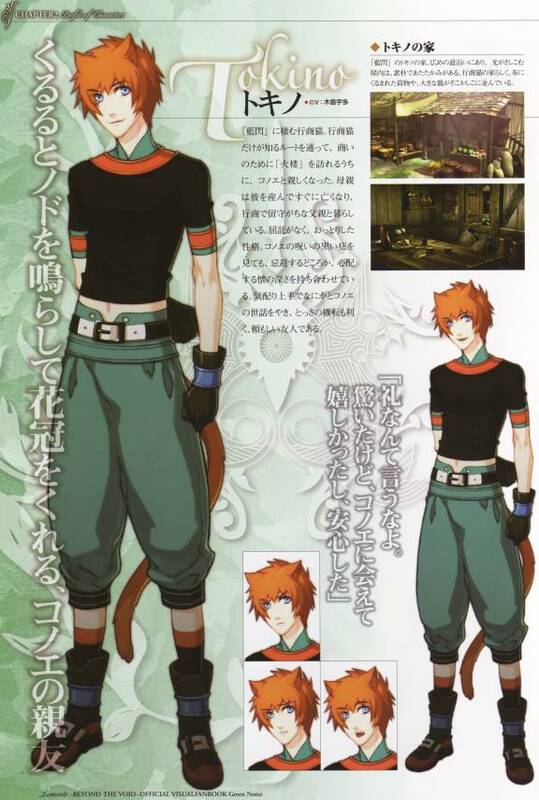 Tokino, unlike his brother, was born as an awakened half-Masho. Sure, he could see the evil in the world long before his brother could, but what could he ever do about the tar ash that he saw all the time outside of his own home? Awareness brought fear to him, and he didn't want to see others suffer at the hands of Masho that were cruel. This is why he devoted the rest of his life learning how to become a Doctor and make use of summoning familiars. Life was going by like normal until one day when Orenji was suddenly overcome with his Masho half and went on a rampage until he regained sanity. It was then that they both would decide to enroll into True Cross Academy. He hoped that their kind would not be subject to in-criminality and blasphemy upon the exorcist world. Roleplay Sample: Tokino walked through a path going straight through the forest. He could sense all of the Masho surrounding him, and he slowly came to a stop. The Masho came after Tokino, but he was expecting this action from them. To defend himself, he threw some tranquilizer needles filled with holy water at all of the Masho that jumped out of the trees. The holy water burnt them from the inside out, and slowly reduced them all to ash. "Please forgive my rash actions, but you left me no choice." Tokino said respectfully to them as he walked away peacefully.